When most people think of stickers their first thought might be of the football albums we used to collect as children. However, from a marketer’s point of view, stickers can be an amazingly adaptable product. They are a unique way to gain exposure for your brand, and while they are also quite cheap the best thing about stickers is how fun using them can be. An American restaurant was trying to show the world how hot its chicken wings were. 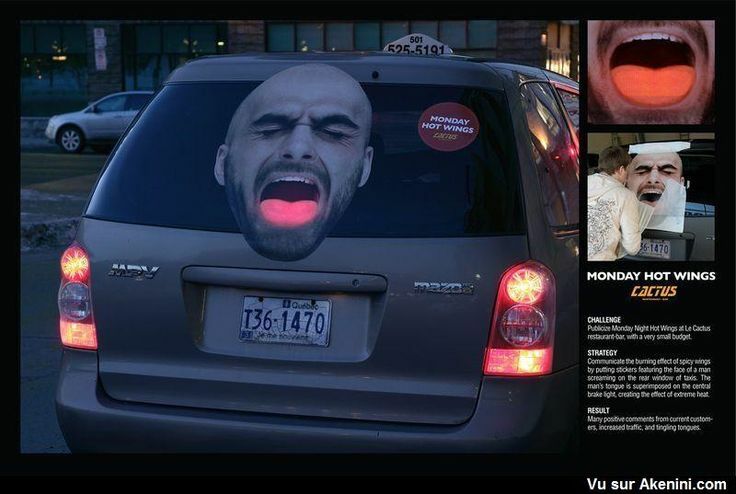 To emphasise this they put a sticker of a man’s screaming face around the centre brake light on their company car. Whenever the car stopped the red brake light lit up and it looked like the man’s burning tongue… after eating one too many hot wings. A Turkish garage went round putting tongue stickers on the exhausts of cars more than five years old. The advert pointed out the dangers of driving with a broken exhaust and the importance of having it checked regularly. 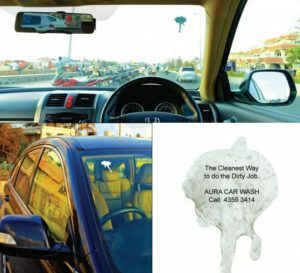 To boost brand awareness for their car-wash business an Indian company had a very unusual idea. 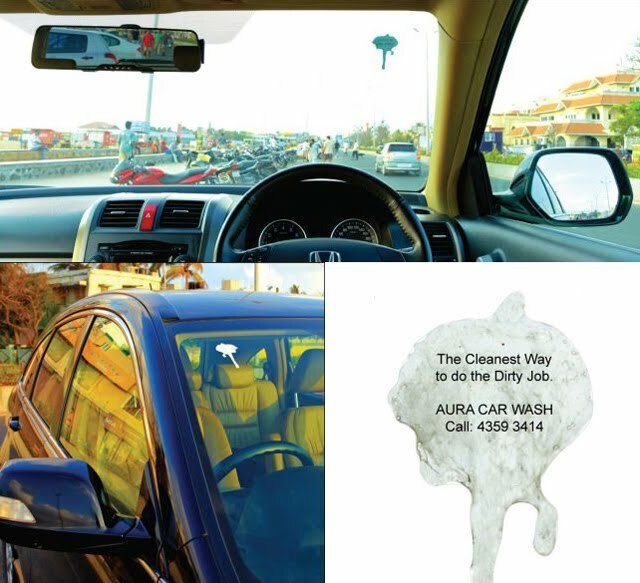 They began sticking fake dirty marks on car windscreens, which had details of their business. Adult shop advertising always has to be extremely creative, and the owners of a store in Italy had an ingenious idea. They parked a car outside their store and put a series of provocative sticker images over the windows. The end result was a car that appeared to have several people in compromising positions inside. A crisp manufacturer in the States wanted to show the public their potatoes were grown locally. 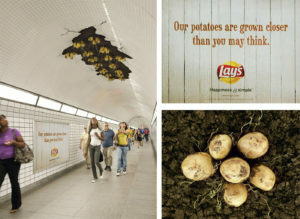 To demonstrate this they put a series of stickers on the ceilings of subway tunnels, showing soil breaking through and potatoes growing. The caption “Grown closer than you think” was very effective. Drivers always try and avoid potholes in the road, but if they cover a whole lane they are left with little option but to go over them. 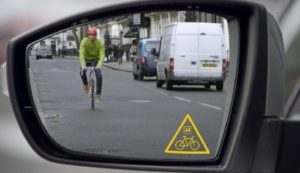 A couple of pretty crazy marketers went round main roads attaching pothole stickers to the tarmac. The message a few metres further down the road said how the smooth road felt the same as using a certain type of suspension. 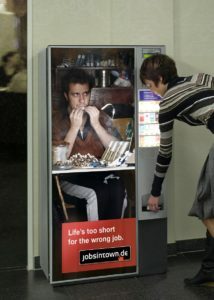 A recruitment agency in German had a very effective way advertising the importance of landing a good job. A series of stickers were stuck on the side of vending machines showing someone working inside. 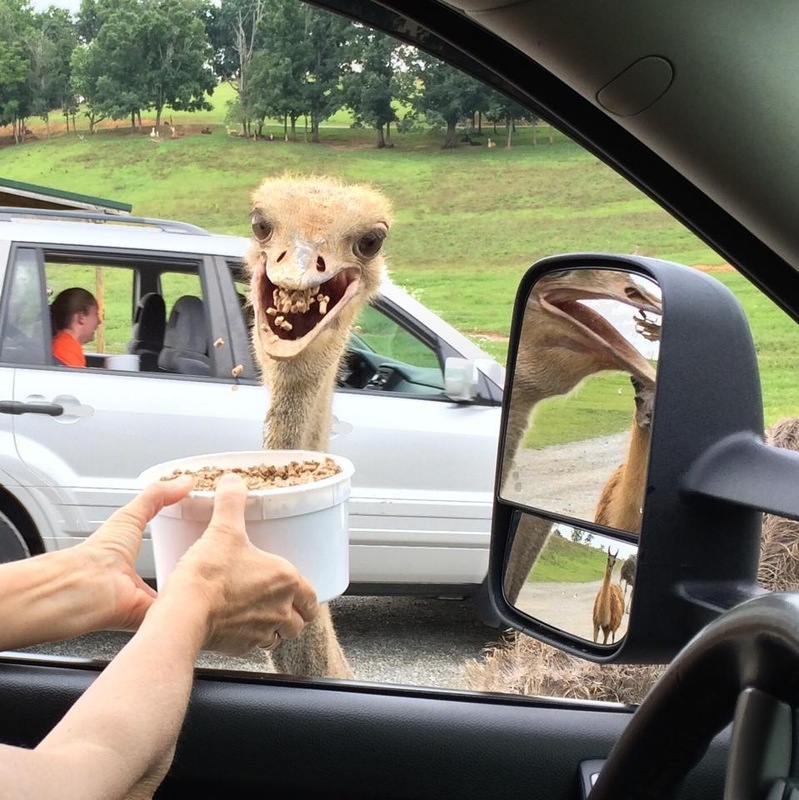 The employee might have been making your drink or passing you money. The caption underneath simply read: “Life’s too short for the wrong job”. 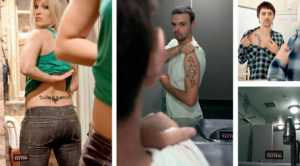 Have you ever wanted a tattoo but been too afraid of the outcome to go through with it? 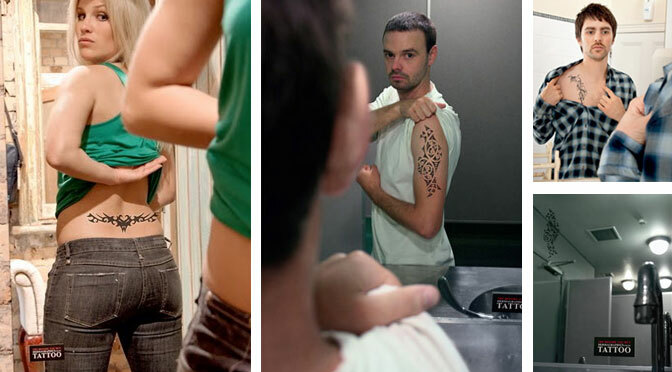 A series of dermographic tattoo stickers were placed in public toilets so people could get a good idea what certain designs would look like on their skin. Finally, a more negative type of marketing. 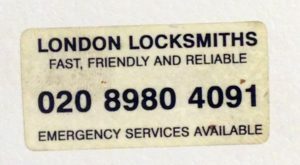 There have been instances in London of thieves placing stickers on the doors of houses they intend to break into. 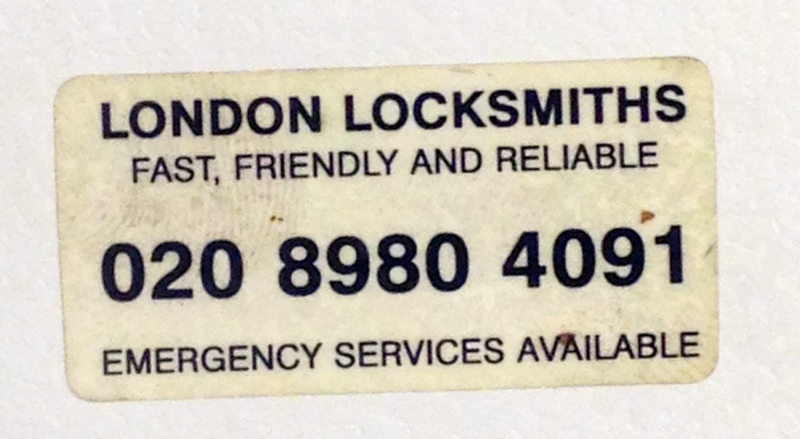 The stickers advertise a locksmith that doesn’t exist and are used to mark houses criminals think vulnerable. They are a simple way for a scout to look like they’re involved in a marketing campaign, without drawing much attention. Thankfully the police are fully aware of this scam. No matter the type of sticker printing you decide on, it’s important to think about its size and design. If you want to make a name badge it will need to be large enough so it can be seen from a distance. A bumper sticker will also need to be seen from further away. But if you make a smaller sticker the logo is the only part people need to see. Stickers are a great tool in viral marketing campaigns and when the advert gets old you can just peel them off and try something new.